On-Page SEO vs Off-Page SEO: What's the Difference? Home » Blog » On-Page SEO vs Off-Page SEO: What’s the Difference? Trying to get your website ranked is no easy feat. It takes careful planning, research, and SEO-expertise to move your website up the search engine rankings and get it in front of prospective customers. But what is SEO? And what do the terms On-Page SEO and Off-Page SEO mean? According to Moz, search engine optimization (SEO) “is the practice of increasing the quantity and quality of traffic to your website through organic search engine results.” This can be done through various tactics, which are often grouped by whether they’re performed on your actual website or off of your website. Below, we’ll review both On-Page SEO and Off-Page SEO. 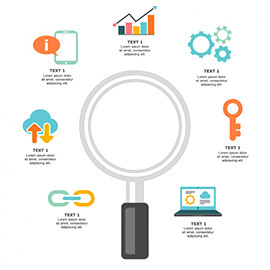 On-page SEO encompasses everything that has to do with the content on your website. From your title tags to your page content to your internal linkage. It’s more than just making sure your keywords are listed on your site. Page title tags – Do they include your keywords? Are they the recommended length? Image title tags – Do they also include your keywords AND match the actual image? On-site content – Are your keywords well spread out? Do you use semantic keywords? Is your content helpful to readers? Site speed – Does your website take too long to load? URLs – Are they short and SEO-friendly? Mobile-friendly – Is your website easy to read on any device? Social sharing – Can visitors easily share your content? There’s an art to perfecting on-page SEO, and industry guru Brian Dean has written about the anatomy of a perfectly optimized page to help people understand just how to implement these tactics. Off-page SEO is all the things that don’t happen directly on your website. It includes tactics like link building, social sharing, brand mentions, and other measures. It’s sometimes the more difficult aspect of SEO. Off-page SEO is necessary, however. By getting your website listed on Google Maps, posting shareable content on your Facebook page, and being listed on major niche directories, you greatly increase your chances of visibility in the search engines. 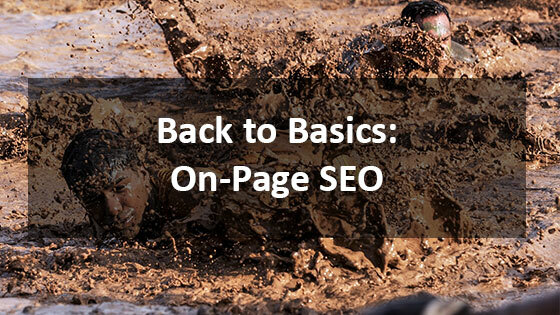 Niel Patel wrote an excellent resource that explains more about off-page SEO and how it’s connected to on-page SEO. Think of on-page and off-page SEO like peanut butter and jelly. Sure, you can use them separately. However, when paired together, your results are ten times better! Want to see ten times the SEO results for your Houston business? Contact our experts for a free SEO audit and consultation on getting your website to the top of the search engine rankings. Call 281-764-9070 or filling out our form. We get questions often about the basics of SEO. Here are most important steps you need to follow to earn high rankings on Google. Matt Cutts, Google’s head of WebSpam, talks about page web page load times and how they can effect your rankings. 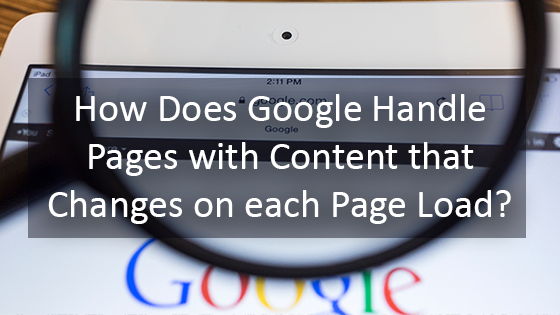 How Does Google Handle Pages with Content that Changes on each Page Load? On some webpages, bits of content can change on a page reload. Some examples of this include client testimonials, or featured images. 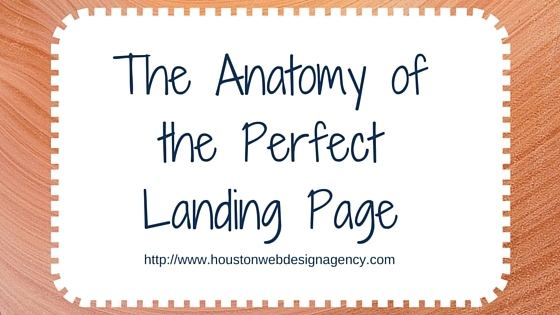 Landing pages are a monumentally important part of the Internet marketing world. Landing pages can mean something different to everyone and with web design trends constantly growing and evolving, it’s important to realize that they can come in all shapes and sizes.